Democrats will not stop the development of anti-missile systems, but they will stress the defence against short and middle-range missiles, Daniel Anyz writes about the prospects of the U.S. radar on Czech soil in Hospodarske noviny. 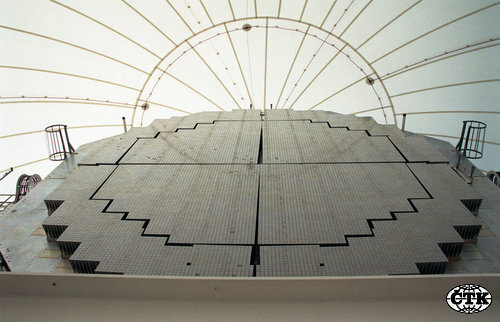 The Czech radar that is to be able to communicate with the systems may be part of the plans. The emphasis on the systems opens a door to the real “Natoization” of the anti-missile defence, Anyz writes. This means that Prague’s tacit assumption that a U.S. radar might give it special relations with the USA and its security commitments will probably not be fulfilled, he adds. On the other hand, the consent to the project both in the Czech Republic and in Europe may become more within reach, Anylz writes. The result of the elections that would allow to the opposition Social Democrats to rule alone may be an obstacle to the grand coalition, Alexandr Mitrofanov writes about the idea that the Social Democrats and the Civic Democratic Party (ODS) may form the alliance in Pravo. Absolute power is connected with sole responsibility. If the Social Democrats ruled without partners, they could not blame anyone also for their failures. This will be double true at the time when the global crisis continues as they will need to share the weight of the task with some partners, Mitrofanov writes. Social Democrat leader Jiri Paroubek would certainly prefer a coalition with the Christian Democrats and the Greens. However, it may happen that neither of the parties will cross the five-percent threshold necessary to enter the Chamber of Deputies, he adds. It cannot be ruled out that the lower house will only consist of the deputies for the ODS, the Social Democrats and the Communists, Mitrofanov writes. You are currently browsing the archives for the dempcrats category.